Alex Shifrin thought he found a surefire way to profit from Moscow's new consumers with an old Russian tradition: soup. Russians can't get enough of the stuff, slurping down an incredible 32 billion bowls each year. But with the city's emerging middle class increasingly adopting Westernized, on-the-go lifestyles, soup fans have less time to boil it for themselves. Shifrin, an advertising executive, and three partners smelled an opportunity. Why not cook it for them? They pooled their personal savings and in April 2010 launched Soupchik, a chain of takeaway outlets serving up borscht, chicken noodle and other local favorites to upwardly mobile Muscovites. Matters got worse later in 2010 when eager bureaucrats declared war on shops like Soupchik after Moscow's mayor remarked that the numerous stalls dotting the city were unsightly. One day in October, an employee at a Soupchik kiosk phoned the head office in a panic: bulldozers were outside, poised to flatten the shop. A manager rushed over in a van to rescue the kitchen equipment before the kiosk was smashed into rubble. New regulations made accessing sidewalk space for more Soupchiks extremely difficult. The chaos forced the investors to overhaul their business model. Instead of stand-alone kiosks, they opened all but one of their six outlets inside modern shopping malls  an attempt to shield them from bureaucrats hungry for bribes, not borscht. Doing business in Russia is "a moving target. There are no real rights," Shifrin says. "If you could put your $100 million in any market, why would you put it here?" That's a question more and more businesspeople are asking. Before the Great Recession, Russia was one of the world's premier emerging markets. Economic growth was stellar, at more than 7% a year from 2000 to 2007. Rising incomes created a lucrative market for consumer goods like cars and refrigerators. Foreign investors rushed in for a piece of the action. Goldman Sachs bunched Russia with Brazil, India and China as the BRICs, the four large developing economies the bank considered best positioned to dominate global growth for decades. After falling so low after the 1991 collapse of the Soviet Union, Russia was again asserting itself on the world stage, backed by both military might and economic progress. Not anymore. While the other BRICs have shrugged off the recession and soared to new heights of global influence, Russia has not regained its precrisis moxie. With the economy plagued by sluggish growth and anemic investment, the outlook has turned gloomy. Neil Shearing, senior emerging-markets economist at research firm Capital Economics in London, forecasts that Russia could average only 3% annual growth over the next 15 years  a pittance compared with the stratospheric rates notched by China and India. "The old growth model has broken down," he says. That could have serious consequences for both Russia and the West. Prime Minister Vladimir Putin, the country's uncrowned czar, has linked his legitimacy to the economy's performance by offering the Russian people a grand bargain: submit to his increasingly autocratic rule and the state will compensate with economic goodies like higher incomes and hefty social-welfare spending. Now that the economy is faltering, Putin is under intensifying pressure from a discontented public to restore Russian democracy, potentially destabilizing Russian politics. 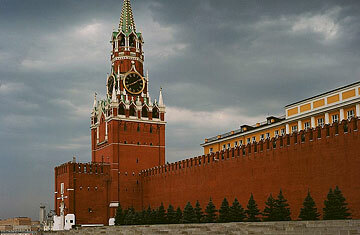 He has already faced protests in Moscow against his rule amid the economic downturn. There's also a risk that leaders in Moscow will resort to nationalistic appeals to distract the public from problems at home, escalating tension with Russia's neighbors, the rest of Europe and the U.S. Putin even now has a testy relationship with Washington. After the recent debate over the U.S. debt ceiling, he accused Americans of "living like parasites" on the global economy. "A faltering economy is more likely to produce an aggressive and adventuresome [Russian] foreign policy," says Charles Kupchan, a senior fellow at the Council on Foreign Relations in Washington. Watch TIME's video of a Russian roadtrip.